A Bottle Of Wine For 50p – Only In Australia! Very occasionally in Australia water is more expensive than wine. As crazy as it sounds, it’s true and happening again right now for a whole host of reasons. Australia is one of the world’s big wine exporters, shipping 750 million litres a year overseas. Right now there is flagging demand internationally so much of the wine that was originally intended for export is now available to the domestic market. Partly this is due to a strong Australian currency, particularly against the US dollar, depressing Australia’s export market. Around 17% of wine imported to the US is from Australia. Furthermore, the strong currency makes it more likely that other countries will increase exports to Australia, further driving down local prices. Another interesting aspect of this is that duty on wine in Australia is set according to price. So, the lower the price you charge, the less duty you pay. Finally, there is a lack of retail choice. Currently two supermarkets, Woolworths and Coles, have 70% of the wine retail market, which means that there is little opportunity for producers to negotiate higher prices for their products. All in all, this perfect storm means you can buy a bottle of wine in Australia for as little as one Australian dollar, or around 50p. The full story from The BBC. Love Champagne? Don’t Drink It From A Flute! Champagne flutes are elegant and beautiful. With a long slender stem and tall narrow bowl they are undoubtedly attractive stemware – if you are into that sort of thing of course. Order some Champagne at a restaurant and every nearby table will watch the bubbles delicately rising in your flutes and wonder what you are celebrating. Eye catching and evocative they may be but flutes are frankly pants for tasting champagne. Allegedly Dom Pérignon, a seventeenth century Benedictine monk before he became a luxury champagne brand, is thought to have adopted the flute for Champagne. Apparently this was so he could watch the steady stream of bubbles rising in the glass. Flutes preserve carbonation in the Champagne as they have a narrow bowl and therefore little surface area exposed to the air. However, the lack of surface area prevents the bouquet of the wine from coming through. And of course, it’s worth keeping in mind that Champagne is wine! This must be what the Champagne coupe is for right? Sadly not. Mythically modelled after Marie Antoinette’s left breast, the coupe looks a bit like a soup bowl precariously perched on a candle stick. In fact, it was actually designed in 1663 in England of all places predating Marie by a century. The flute might be poor for bouquet but at least it concentrates the carbonation. The coupe does neither so unless you fancy making a Champagne tower or you are drinking a particularly gassy Champagne then it’s a poor way to experience your wine. What should you use then? A white wine glass of course! 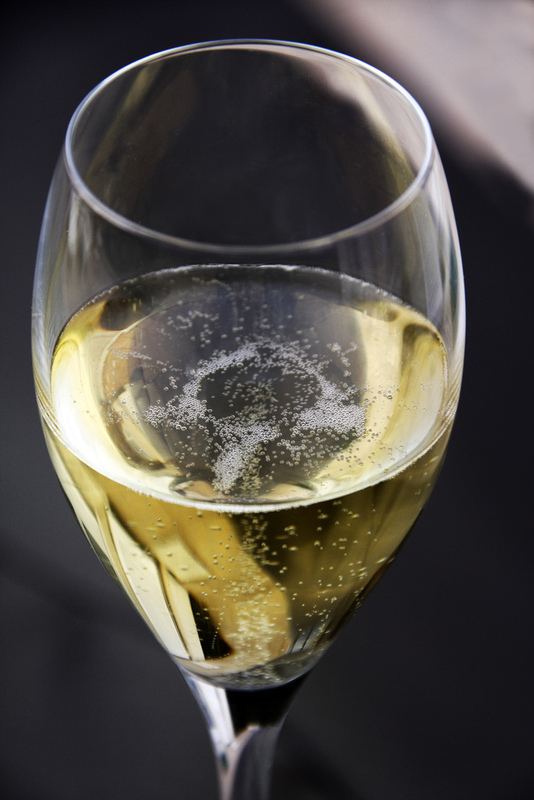 Champagne is often partly or mostly Chardonnay so a white wine glass is most appropriate. The best way to get the bouquet and the flavour is to treat it as a wine and drink it accordingly. If you’ve got a favourite way of getting the best out of your Champagne get in touch and let us know! Title image is from pixabay. “Glass02” by fir0002 | flagstaffotos.com.au Canon 20D + Tamron 28-75mm f/2.8 – Own work. Licensed under GFDL 1.2 via Wikimedia Commons. 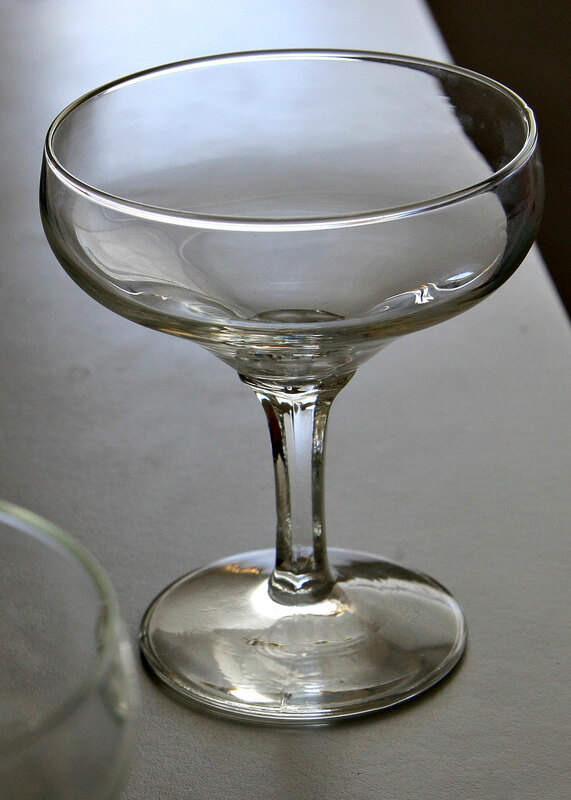 “Glass of champagne” by bgvjpe – originally posted to Flickr as champagne. Licensed under CC BY 2.0 via Wikimedia Commons. Did you know that there are over 5,000 varieties of wine grape? These predominantly come from just two families, Vitis Vinifera that is mostly grown in Europe, and Vitis Labrusca that is native to Canada and the eastern United States. Despite this huge amount of choice over 70% of the world’s wine comes from just 30 varieties of grape. In fact, in 2010 around a third of the grapes planted were from just seven varieties, with Cabernet Sauvignon leading a pack including Merlot, Tempranillo and Chardonnay. Vineyards around the world have been slowly replacing the less popular varieties with the ones that produce more popular wines. In doing this growers have enhanced those varieties allowing them to produce bigger yields and better grapes. This selective growing means that it is likely over time that the rest of those 5,000 varieties will be lost as they are no longer grown. In the future that might mean we will have less choice in what we drink, which would be a shame! Worried? If so, fear not! Fernando Martínez de Toda based at the University of La Rioja in Spain, is doing something about it. He noticed the loss of rare grape varieties and started storing them away. He also began working with growers to reintroduce rare varieties where they could. Today his work to preserve the genetic diversity of grapes is one of a number of similar initiatives happening in Europe. We are of course in love with Tempranillo (and our Beronia Rioja 2009 Reserva) but it is great to know that our pursuit of this amazing grape doesn’t have to mean the extinction of other grapes. The full story is in The Guardian. The University of Adelaide’s Wine Economics Research Centre published a report on grape varieties grown around the world.